Someone once told me that in parenthood, the days are long and the years are short. Maybe it’s getting older. At the minute it feels like a blink & another month is gone. When I checked my editorial calendar for what I’d planned to post today, I had to check twice. Then look back at April. Surely it was too soon for this month’s shop update? Didn’t I only do that last week? That was a bit how I felt as I finished up this month’s pop up shop products, and completely missed posting any teasers because suddenly it was the first of the month. 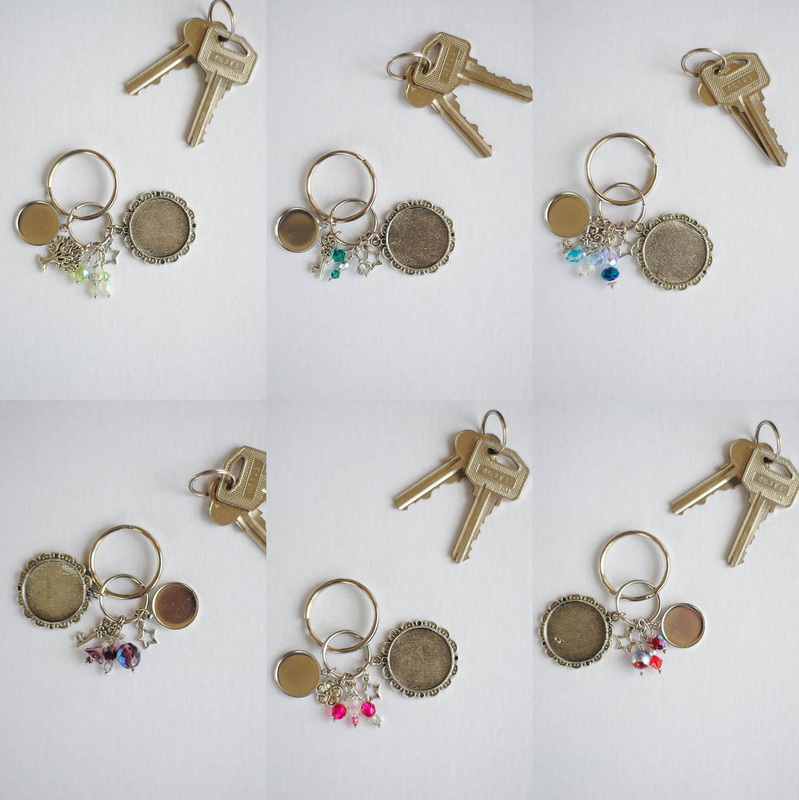 This month I have customisable key rings up in the Instagram shop (and will be going up on Etsy later today). All beaded up & charms added, these key rings have two pendants (one 3/4″ & one 1″) that can be customised. I also had a custom order for some green notecards, so while I had the ink out, I printed up some extras. There is one set of five “hello” notecards and one individual “I’m thinking of you” notecard up in the shop (link in the menu above) and also on Etsy. I also have new plates on the way that I’m excited about – custom note cards, project life cards & brush script prints. Hopefully these will be here next week, I can’t wait to play with them! First though, I need to tidy the studio. There is a desk in there somewhere. I’ve migrated my sewing machine to the dining table to finish my coat rather than tidy my studio, because I’m an a+ adult like that. Today is all about tidying up & finding myself some space to hide for an hour on Sunday afternoon & craft child free. It’s also about a last minute Mother’s Day gift making session. Nothing like a deadline, right? Have a good weekend! This is true. Is that permission to not clean my studio? AWESOME. You are my favourite.